Behind the iPad’s slim exterior, Apple has hidden away a trove of tools and capabilities you can use to make your iPad experience faster or more personalized. Many people may never use the full capabilities of their iOS tablet, because they’re unaware these features exist. 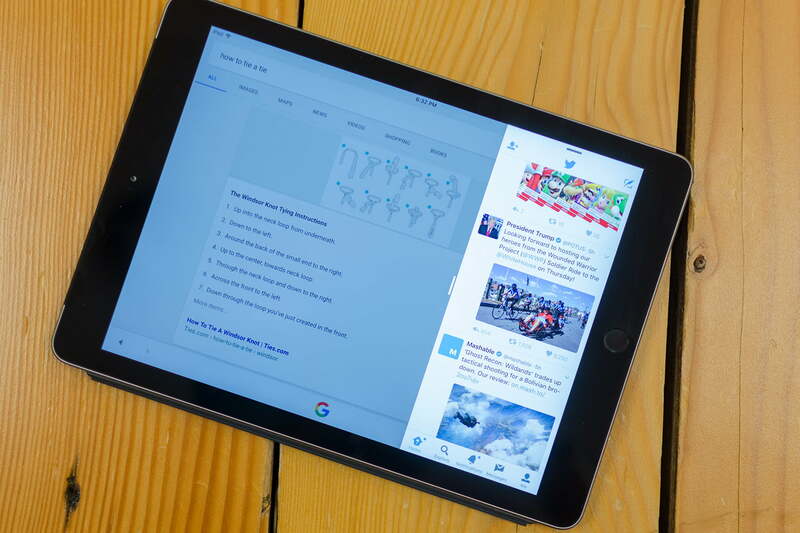 We’re going to change that with our handy list of iPad tips and tricks. 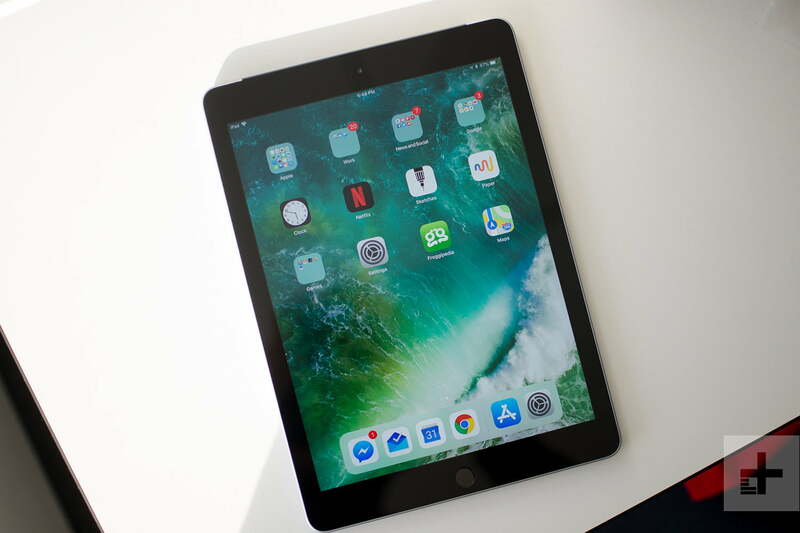 Many of these tips work for new and old iPads — including the latest 9.7-inch iPad (2018) — though you’ll need to be on iOS 11. You can read our guide on how to download and install the latest version of iOS for more. If you have an iPad Pro, check out our tips and tricks to master Apple’s most powerful tablets. If you are moving to a new iPad from an older model, you may be dreading changing all the settings to what you like best. Fortunately, there’s a really easy way to do this. Just make sure that your old iPad (or your iPhone, if you like those settings) is turned on and near your new iPad when you first start setting it up. The new iPad should sense the presence of the Apple device, and ask you if you want to transfer over important settings information — you may have to input your Apple ID first, though. Your iPad supports split screen capabilities for quickly comparing information or multitasking. If you want to split web page views, head to Safari. When you find a link that you want to move to a split screen, touch and hold the link until options come up to open it. One of those options should be Open in Split View. This will create a new side-by-side window for the link. You can also open some other apps in a split screen mode for multitasking. An excellent example is the Messages app: No matter what you are doing, you can swipe up on the bottom of the iPad screen and access the Dock, where you can add the Messages app (or access recently opened apps). You can drag Messages up to the side of your screen, and it will pop up in a separate side window where you can view and respond to any new messages you have without losing track of what else you are doing. This trick may not work with all apps, but many do have this handy functionality. Many apps also allow you to drag and drop images or files between them for quick pasting or saving while you are at work. You can also swipe up from the bottom of the screen to access the Control Center, and see the most recently opened apps. 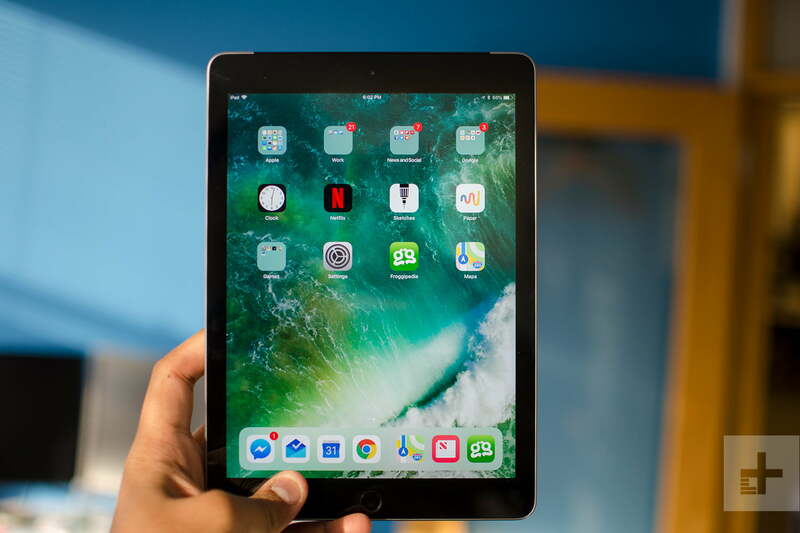 This is one of the most searched-for functions among new iPad users who want their screen to stay in one place instead of bouncing between vertical and horizontal modes depending on what the gyroscope says. Fortunately, it’s easier to lock your orientation than ever before. Double tap the Home button at any time to open your Control Center. Unless your Control Center has already been heavily customized, you should see the orientation lock in the upper right-hand corner — it’s a circling arrow around a lock icon. Tap that icon, and it will change color, letting you know that the current orientation has been locked. As mentioned earlier, you can also swipe up from the bottom of the screen to access the Control Center. In iOS 11, Apple updated the Control Center with a different design and a new way to manage basic controls like volume and brightness (you can double tap the home button at any time to get a closer look at it). If you want your Control Center to have different toggles, however, you can customize it for your preferred arrangement. Head over to Settings > Control Center, and choose Customize Controls. This tool allows you to add various control options and change the order in which they appear. You can put in controls for tasks that you may use regularly, such as controlling your Apple TV. Take a look through it and personalize your Center. First, always update your iOS version when possible — improvements to iOS often include better storage formats or data management that can free up space (not to mention it’s better for security as well). Second, if you have iCloud, then head to Settings > Messages > Messages on iCloud to make sure that iCloud is syncing and storing messages. Then go back to Settings > General > Storage. Here, you need to make sure that Auto Delete Old Conversations is enabled. This will get rid of old messages that may have been synced up to your iPad from your iPhone, while still making sure they are stored in the cloud. For further storage, you can also enable Offload Unused Apps in the same section. This will keep app data stored, but it gets rid of unused apps. It’s great if you start collecting a bunch of apps but don’t end up using many of them. Are you finding it hard to type, particularly on the new 9.7-inch model? Try adjusting your onscreen keyboard. When the keyboard is open, press the emoji (smiley face) button and hold it until options appear. Choose Keyboard settings, which will whisk you away to a new window with many keyboard options. You can also head to Settings > General > Keyboard to access these options. Pay special attention to the Split Keyboard setting, which shifts the keyboard into two different sections that may make it easier to type with both hands. Note that you can also download new types of keyboards that may be more suited to your tastes, like Gboard or SwiftKey. If you really don’t care for the iOS colors, you can make everything a lot darker by inverting the color scheme. Simply head over to Settings > General > Accessibility. In Accessibility, look for Display Accommodations. This should include an option to Invert Colors. Try it out and see if it improves the color scheme for you. There are also a few other color-shifting options here if you want to experiment further.